A few months ago, I was contacted by eShakti to see if I would be interested in writing a review of their product. It was a fairly straightforward process: pick out and order one of their designs and wait for it to arrive within the week. Reviewing the product would cost me nothing. It seemed like a no-brainer so I accepted the challenge and went to eShakti's website to peruse their designs. For those of you who aren't familiar with eShakti , it is a super cute online women's apparel store that allows for customized changes in a style of their designs. Sleeves, necklines, and length can all be changed by the customer to meet her preference. Perfect. I selected this budding blooms dress because of my love for the color yellow. I didn't make any customized changes to the product, and once I submitted my information, the countdown for when I would receive my order began. As promised the dress arrived in less than a week in a box the size of an iPad. I was a bit concerned that what was contained inside would fit someone much smaller than me, but I unwrapped it to try it on and was pleased to find that it fit. When I wore it to work I received a number of compliments on the color, the fit, and the overall look. It was also an easy outfit to pull together on a running-late morning that resulted from me hitting the snooze button one too many times. Although the product was everything that was promised to me, there are a few downsides that made me second-guess my purchase and whether I should wear it to work. The first things I noticed when I opened the tiny box the dress arrived in was the color and the dress material. When I ordered the dress, I knew I had ordered a polyester tulle dress. I wasn't quite sure what that meant, but I found out that this material has a consistency similar to many Halloween costumes you can find in a local drugstore. I also didn't love the tie belt that came with it in the same material so I switched it out for the target belt worn in the photo above. Finally, the color online was listed as banana yellow. It may be hard to tell in the photos, but it's closer to a mustard yellow. It ended up working out, but it was a bit different than I expected. The next detail I noticed was the hemline (see photo below). It looked as though it was cut with a pair of regular scissors and was jagged an uneven in places. Finally, although you place your order based on your measurements, when I put the dress on, the fit was a bit tight around the tops of my arms. Although I have been working out, I'm not sure my armpits have bulked up that much. Still, for the price (most of their dresses run well under $100), the service, and the quick turnaround, you can't go wrong. My only advice would be to pay attention to the materials of the products you are looking at and submit accurate measurements when you place your order. Follow these guidelines and you will be well on your way to purchasing some fun items to work into your wardrobe. Finally, to thank you all for being loyal Messy Jess C. readers, here's a special promo code for you to get 10% off of eShakti products: ME20XRD. This offer is valid until August 31, 2012 and may be used in addition to other offers online and for any number of times until the validity period ends. 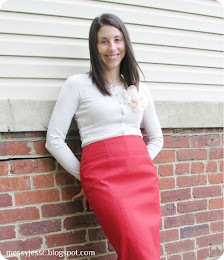 Happy Shopping and thanks eShakti for inviting me to review your product. Hi Emily. Thanks so much for your comment. I am a bit obsessed with yellow also. I also had a chance to check out your blog and am now a follower. You have a great sense of style also. Glad to see we like the same j.crew bubble necklace also :-). Hope to have you as a Messy Jess C. reader and that you continue to like my posts. Thanks again! i have had trouble too with sizing at eshakti and the quality of their items. the first skirt i received had a really awkward hemline that was not straight at all. hopefully i will have a better experience with the next item on its way to me!